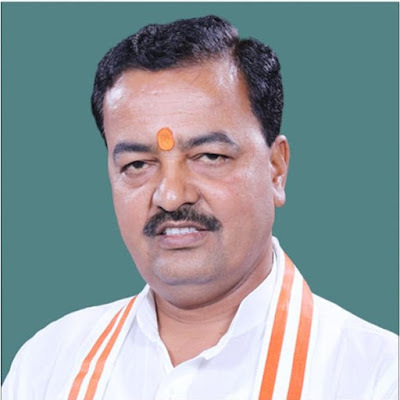 Keshav Prasad Maurya appointed as the BJP’s state unit president in Uttar Pradesh. The Phulpur MP used to be a tea seller and newspaper hawker in his younger days. The BJP’s new state unit president in Uttar Pradesh has quite a bit in common with Prime Minister Narendra Modi. Keshav Prasad Maurya used to be a tea seller and newspaper vendor when he joined the RSS. Years later, he became the BJP’s convener (president) in the Kashi region, Modi’s parliamentary constituency. Maurya’s rise from a tea-seller and part-time newspaper hawker to the state president of BJP has been fast and impressive. Hailing from a poor family in Sirathu area of Kaushambi district, he played an important role in the 1991 Ram Temple movement and emerged as a hardline Hindu leader under the tutelage of former VHP leader Ashok Singhal. His first test in political waters came in 2004 when BJP fielded him from the Allahabad West assembly constituency. He, however, lost the election. In 2012, BJP fielded him again from Kaushambi’s Sirathu seat which he won. While he was serving as MLA, the party declared him their candidate from Phulpur in the 2014 parliamentary election, a seat that evaded the BJP for 60 years. Maurya proved his mettle by winning it. However, fielding the 47-year-old MP of Phulpur as the party president from Uttar Pradesh, may be harder than usual given his tainted past, which includes cases of murder, he is the prime accused in a murder case, he is also booked for promoting enmity between groups, criminal intimidation, deliberate acts of hurting religious sentiment, criminal conspiracy, and rioting. Maurya’s affidavit from the 2014 parliamentary polls shows that various cases were registered against him at different police stations in Allahabad and Kaushambi. 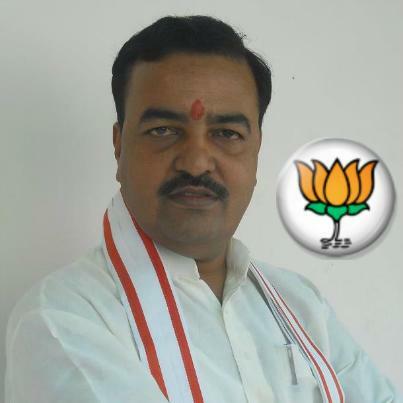 Maurya comes well regarded among his party colleagues and is known to be an expert strategist. During his 10 months as BJP’s Kashi region convener in 2012, he became popular among party workers for his affability and boosted their confidence. Despite the party’s poor show in the UP assembly polls in 2012, the BJP had fared well in the municipal polls and won the Varanasi mayoral seat. The factors what went in his favour, party sources say, is his humble beginning, deep association with the Sangh and his OBC background. His political career started out with defeats as he lost two consecutive Assembly elections, 2002 and 2007, but riding on a Modi wave secured the Phulpur Lok Sabha seat in 2014 with a thumping five lakh votes and over 52 per cent votes from the erstwhile Nehru-Gandhi bastion. On 11 January 2016, 12 BJP party leaders were expelled from the party for attacking Maurya one week earlier in Ballia, and two other cases were filed against two more BJP leaders. Some tweets after BJP declared Keshav Prasad Maurya as the new party state unit president for Uttar Pradesh. Newly Appointed BJP Head Of Uttar Pradesh Keshav Prasad Maurya has 11 Criminal Cases Against him including charges of murder. Well done!